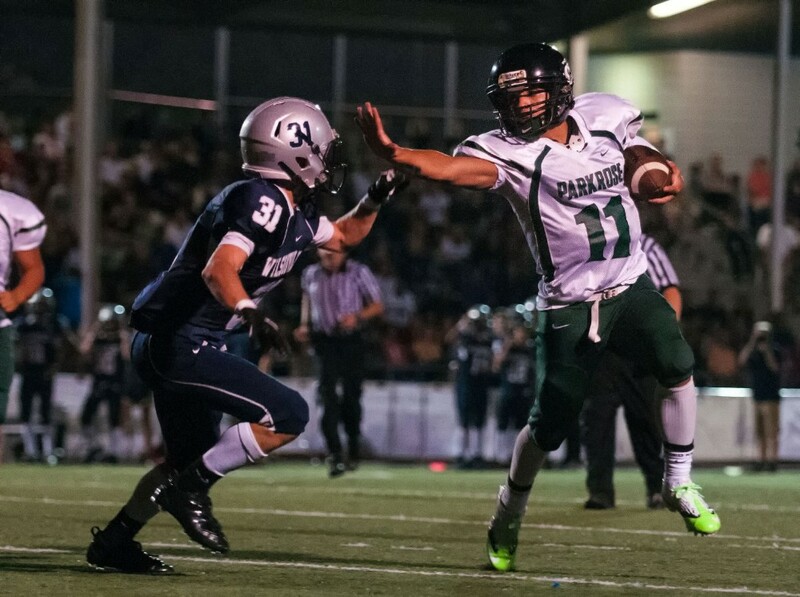 Jonathan Boland was a football star at Parkrose High and earned an athletic scholarship to Portland State University until the aftereffects of multiple concussions forced him to stop playing. PORTLAND – Former Parkrose High School football star Jonathan Boland, whose concussion history and tailspin into crime were profiled in the “Rattled” concussion series, has filed a lawsuit against the Parkrose School District alleging that the district committed child abuse and negligence by failing to protect him under the Oregon concussion law. The former quarterback received an athletic scholarship to Portland State University but was unable to play due to the damage caused by his concussions. The lawsuit filed March 18 in Multnomah County Circuit Court alleges that Boland showed signs of a concussion throughout high school and shouldn’t have been allowed to return to play, even with a medical release. Tim Volpert, the attorney representing Boland, argues that the current wording of the law requires two conditions to be met before a coach can allow a student to return to play: the athlete must obtain a medical release and be symptom-free. Jonathan Boland is currently incarcerated at Oregon State Penitentiary for robberies committed two days after he publicly announced that multiple concussions were forcing him to walk away from football for good. Volpert argues that, even with a doctor’s note clearing an athlete to return to play, the coach has a responsibility to keep an athlete sidelined if they notice lingering symptoms. Boland’s lawsuit could challenge the interpretation of Oregon’s high school concussion protocol, known as Max’s law, because it would mean a coach could not assume a medical release alone indicated that an athlete is ready to play. Under the current interpretation, a doctor’s clearance is the ultimate arbiter of whether a student is medically fit to return to play. The lawsuit argues that coaches should stop and sideline a player, regardless of the doctor’s clearance, if coaches still notice symptoms, including the cumulative effects of concussions. That step is something Max’s law left unaddressed. Boland’s lawsuit names as defendants a Parkrose High School nurse, an athletic trainer, a former head football coach, a former athletic director and former Superintendent Karen Gray. Efforts to reach Gray for comment were unsuccessful. Parkrose officials emailed a statement saying the school district does not comment on pending litigation. No court date has been set for the case. Boland is in Oregon State Penitentiary on a 7.5-year sentence for a series of robberies he committed two days after he announced that concussions were forcing him to walk away from football during his sophomore year at Portland State University. When Boland and his mother, Renee Boland, were first contacted by InvestigateWest in March 2018 for the “Rattled” concussion series, both said they had no interest in suing Parkrose. However, in late January, Renee Boland asked the district for records relating to her son’s concussions. What followed was an email exchange from Parkrose officials demanding that Boland write a letter holding the district harmless before the district would release her son’s records. The email was obtained by InvestigateWest during its reporting and included in a story published in partnership with the Portland Tribune. Renee Boland said Gray asked her to “vouch for her, to not mess up her image.” Boland said she was upset that Gray was more concerned with her reputation than Jonathan’s well-being. 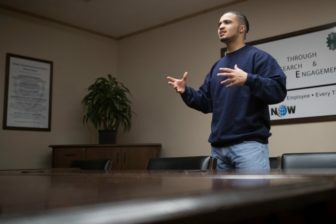 “It was the phone call that pushed me over the edge,” Renee Boland said, feeling insulted by the exchange and pushing her to seek litigation, almost four years after he son graduated from Parkrose High School. 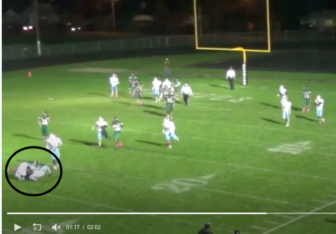 Among the documents Renee Boland requested from Parkrose High School were video football games including a clip, from hudl.com, showing her son sustaining a concussion in a Dec. 18, 2015, game against Liberty High. She said Lopes-Serrao wanted to settle this out of court and without attention from the media. Renee Boland also alleges that Lopes-Serrao told her the district had “nothing” in her son’s file. While Parkrose says it does not have any return-to-play forms for the former student athlete, InvestigateWest obtained copies of records showing that there were medical visits for all three concussions, including reports from the school nurse practitioner, who is legally qualified to clear students following a concussion.